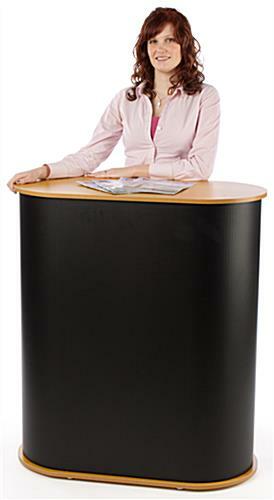 This trade show exhibition counter is designed with ease of use and portability in mind. 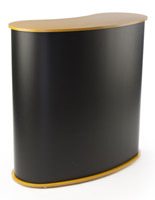 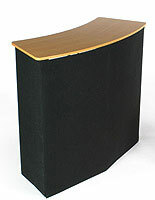 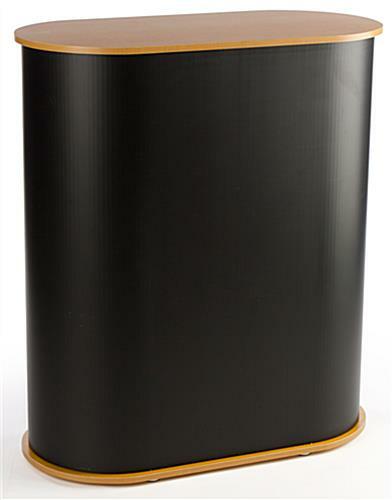 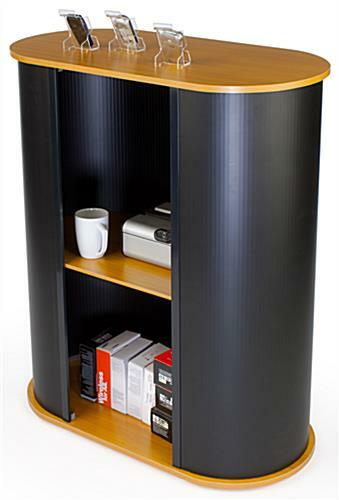 Each 41" tall pop-up display stand features a folding design with black corrugated plastic panel and wood-look MDF top, base, and interior shelf. 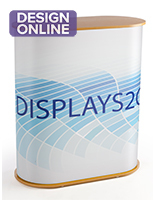 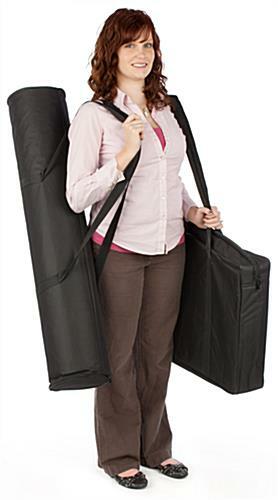 The collapsible tradeshow exhibition counter breaks down easily to fit into the two included carrying bags. 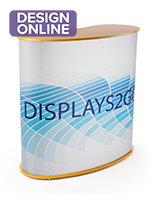 This versatile event booth fixture is ideal for using as a retail sampling station, business customer service kiosk, or commercial merchandising stand. 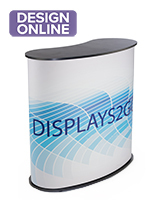 The pop-up exhibition counter is 35.5" wide and 17.75" deep to accommodate literature displays, merchandise samples, or as a tabletop for filling out forms. 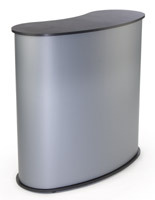 This stylish booth accessory is ideal for retail, commercial, and professional businesses and will complement almost any decor or branding scheme. 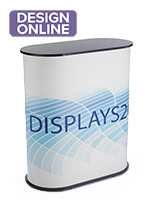 This collapsible exhibition counter with sturdy MDF countertop has a simple pop-up design that allows it to be broken down and set up by one person. 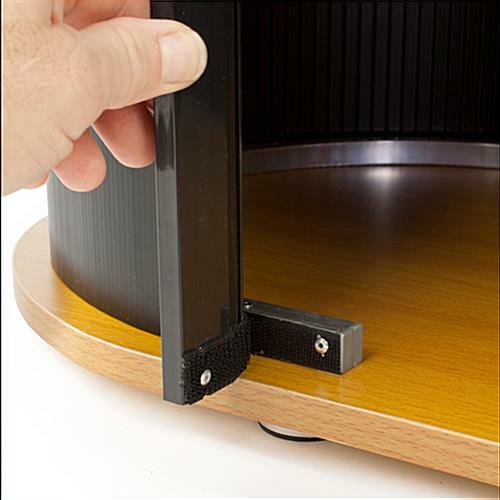 Each freestanding fixture includes an open-access rear storage shelf for holding additional merchandise, personal items, paperwork, accessories, or equipment. 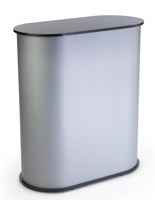 This portable counter for events is an economical choice for retail, commercial, or professional businesses that attend off-site events.